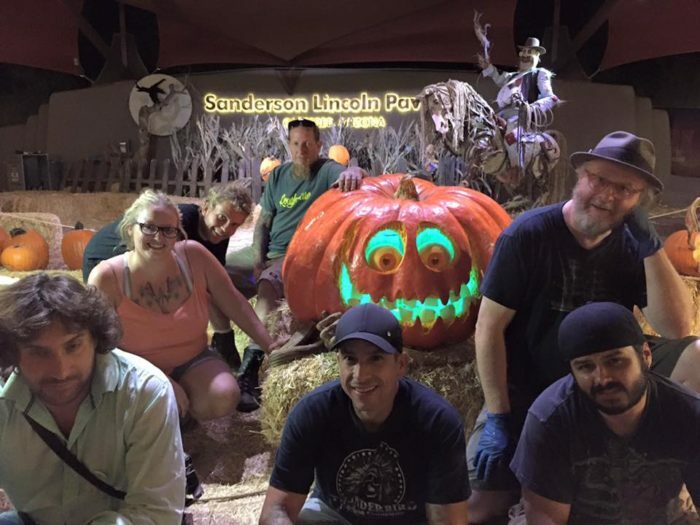 Did you know we have our very own version of Halloweetown right here in Arizona? 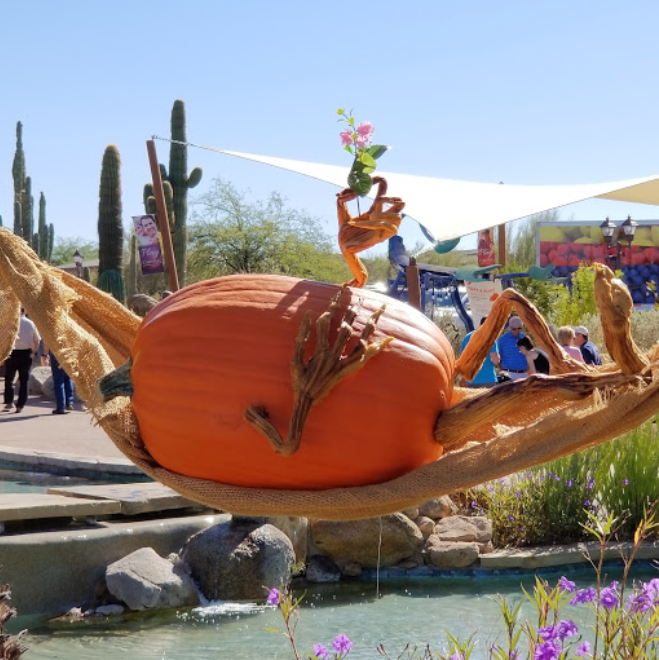 Magic and whimsy are the themes at Enchanted Pumpkin Garden in Carefree, where pumpkins of all shapes and sizes come to life for a week. If you do one thing in the entire state next month, let it be this. 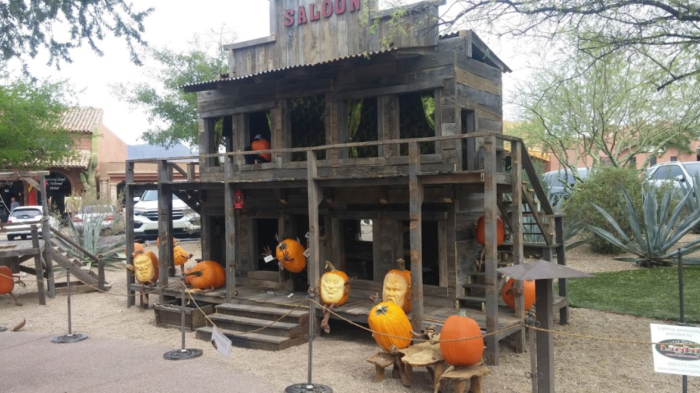 Carefree, Arizona transforms into a real-life Halloweentown each October – except instead of monsters coming to life, it’s pumpkins! 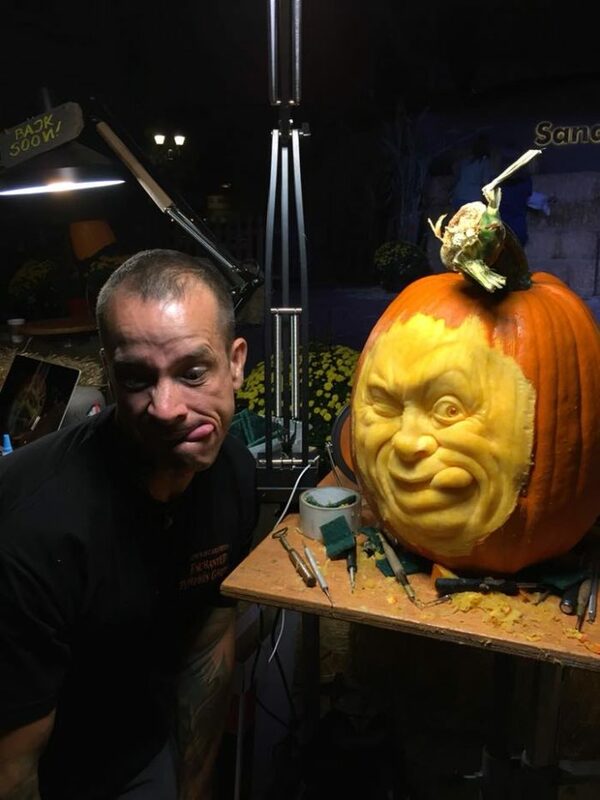 You’ll be absolutely blown away not only by the whimsical, creative scenes the pumpkins are staged in, but also how intricate the carving itself is. It’s really not hard to convince yourself they’re alive! 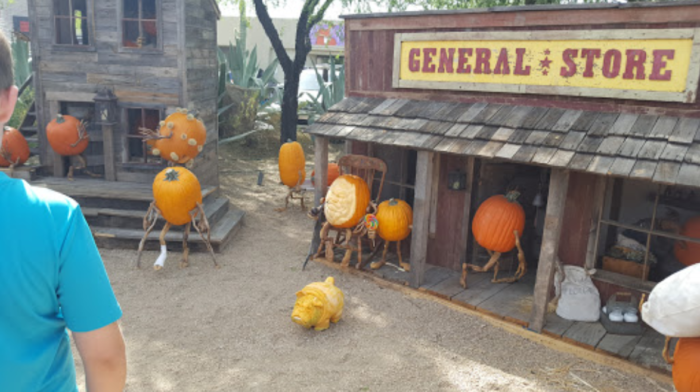 From shopping at the general store to diving in a swimming pool, there’s nothing these jack-o-lanterns can’t do! Check out the puppy standing in front of the building – adorable, right? All sorts of family activities take place in the garden. 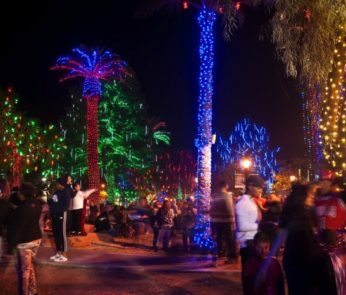 Arts + crafts, trunk-or-treat, a pie eating contest, and a beer garden with festive treats are just a handful of the fun shenanigans you can get into. 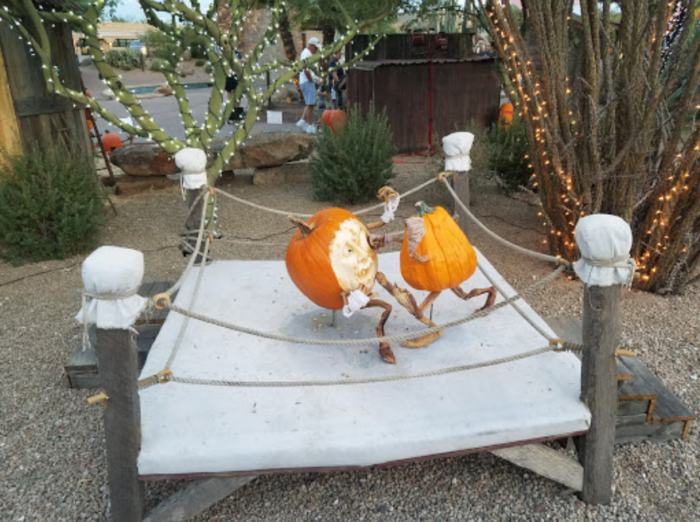 Witness live pumpkin carving by the talented people from Villafane Studios every day from 10 a.m. to 8 p.m. If you watch closely enough, you just might pick up a few tricks to help create your own masterpiece! There are also family carving nights where your own skills will be put to the test. 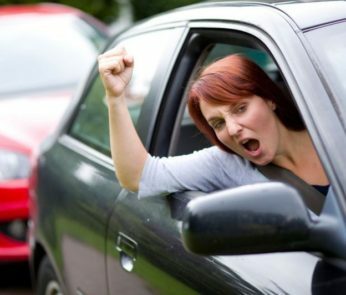 See who can come up with and execute the most elaborate design as you admire everyone else’s work. We feel like this pumpkin should be the garden’s official mascot. Nothing says “carefree” quite like lounging in a hammock while sipping a cold one. 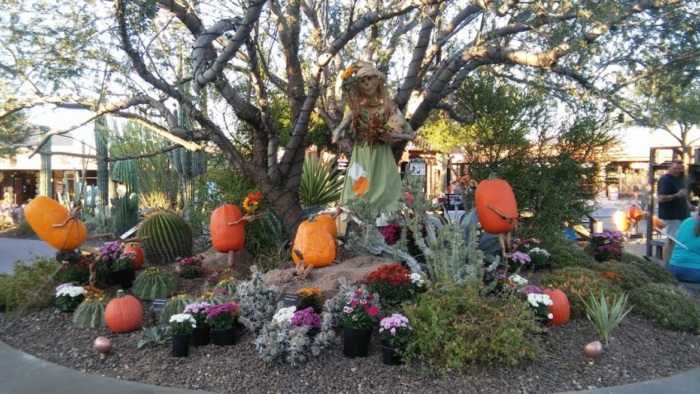 To experience the fun firsthand, head to 101 Easy Street, Carefree AZ 85377 from October 19-28, 2018. Admission is totally free! 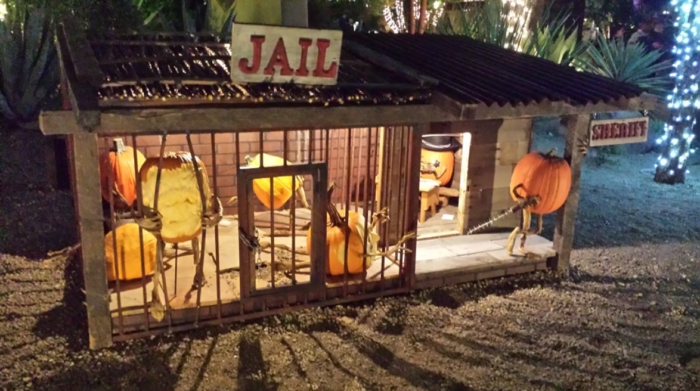 Have you ever been to the Enchanted Pumpkin Garden? 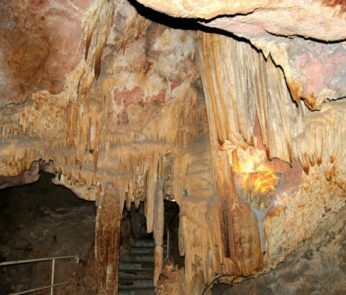 What other awesome Halloween attractions does Arizona have? Let us know your favorite! Prev post Can You Find The Lost Dutchman's Mine? Next post Santa's Reindeer in Arizona....?